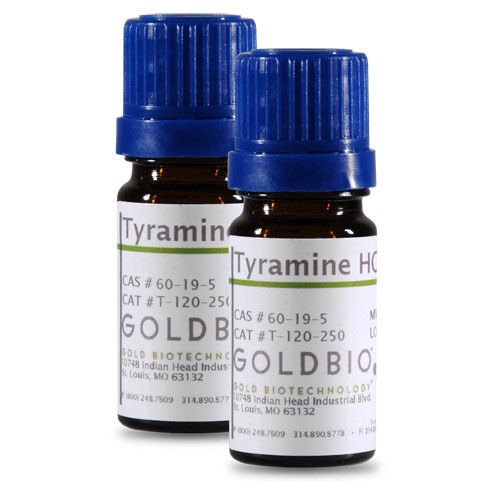 Tyramine HCl is a monoamine derived from tyrosine. It is a catecholamine releasing agent that does not have the ability to cross the blood-brain barrier. It can be released as a false transmitter.